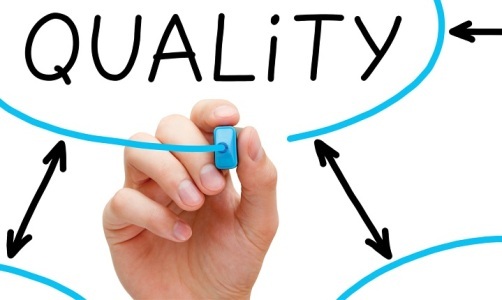 A career in quality means, working to make the organizations better. Quality professional are required in every industry and in every sector. Some of them are generalists and some are specialists. Many quality professionals may have title like quality manager, quality director etc, while others deal with quality as a part of the broader remit. Some of these professionals are concerned with the delivery of goods and services while some are a member of the leadership of the organization. Some work in the organization, while some work outside the organization with which they deal. The link bonding all these quality professionals is their dedication to protect and strengthen their organization by ensuring that the needs of the stakeholders are met and their expectations are exceeded. At the strategic level, the quality professionals make sure that the organization translates its objectives into outcomes. Their focus resides on increasing the efficiency, reducing risk, ensuring compliance, problem solving and implementing tools for improving processes. There are many ways to enter into a career in quality. Traditionally, many people moved into quality, starting from the areas like engineering and health and safety. In today’s generation, the appeal of a career in quality is to get a chance to work towards improvement in all aspects of a business. CQI is the only chartered body, which is dedicated to quality professionals. IRCA is the division of CQI and is the leading professional body for management system auditors. Eurotech, an IRCA approved training partner (ATP), is conducting quality management system trainings in your city. To know more about this training, drop an email at trg@eurotechworld.net for getting more information about these trainings or call us at +91 9316744482 or 0172 - 4191128.